Every Cobra lawnmower has been expertly designed in the UK to cater specifically for he changing conditions of the British lawn. 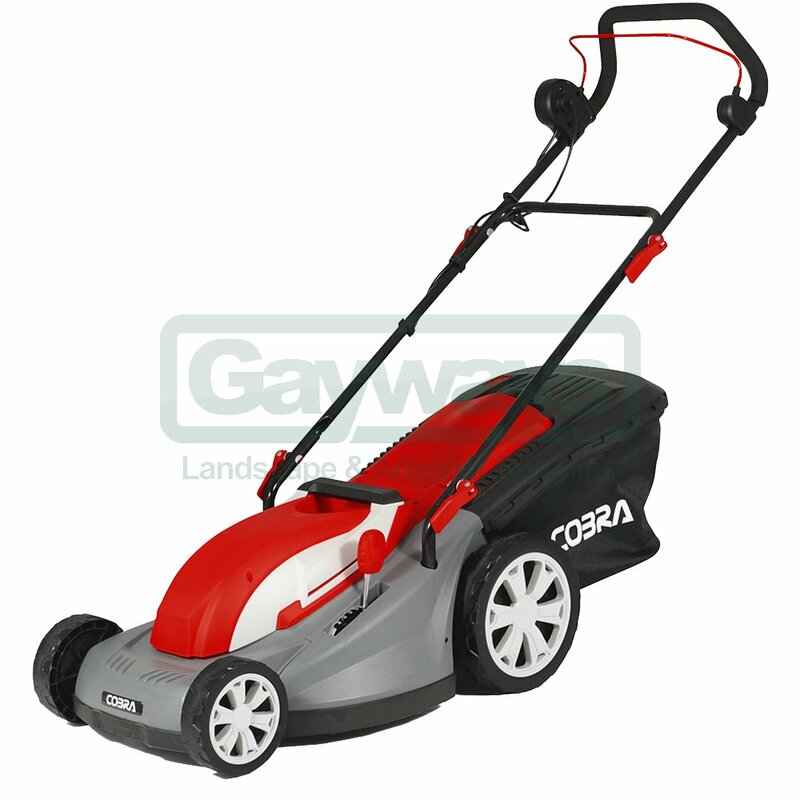 The Cobra GTRM40 electric mulching lawnmower is lightweight and features a 1500 watt motor. The easy to use central height adjuster and integrated rear roller effortlessly give your lawn the perfect striped finish. The Cobra GTRM40 electric lawnmower has 7 adjustable cutting heights ranging from 20mm for a superb low finish, up to 75mm for tackling longer grass. All this is achieved by simply using the single height of cut adjustment lever. Depending on the height of your grass, you can easily and efficiently adjust the cutting height to suit. 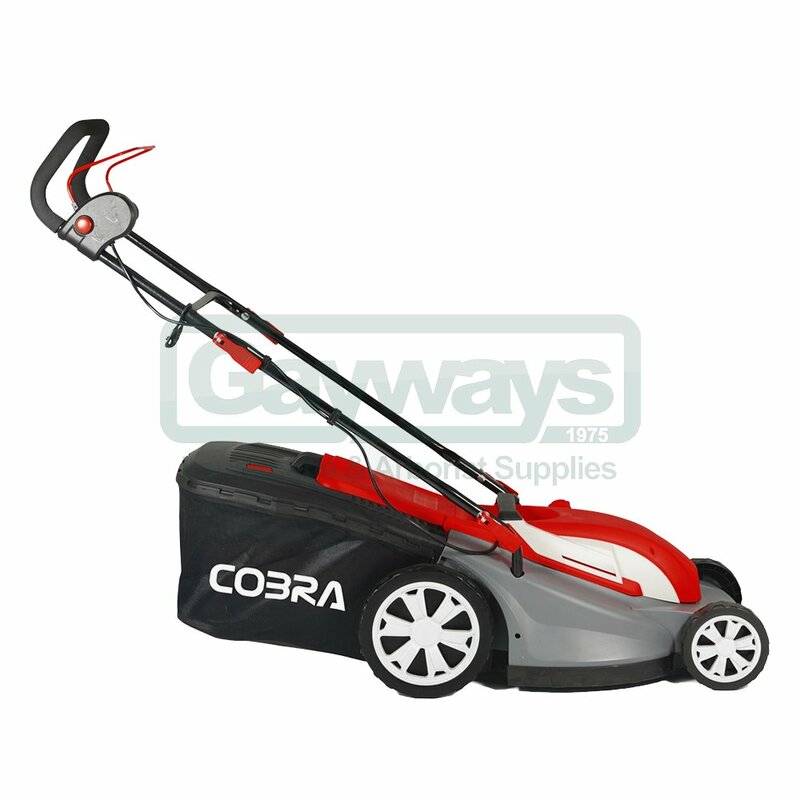 The Cobra GTRM40 electric lawnmower is equipped with a 45 litre fabric grass bag, ideal for collecting large amounts of grass clippings before the need for emptying. 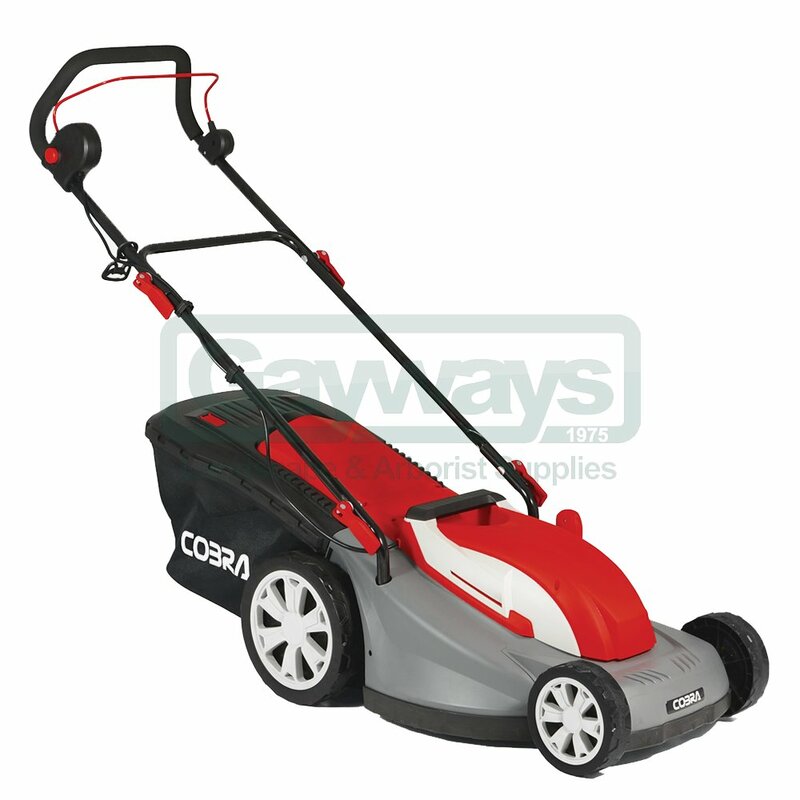 To make life even easier, Cobra have equipped all of their electric lawnmowers with a grass bag full indicator system. This indicates when your bag is full and ready to be emptied, eliminating grass being spilled onto your lawn. The GTRM40 lawnmower from Cobra comes equipped with a mulch plug to enable you to mulch your grass clippings back into the lawn. 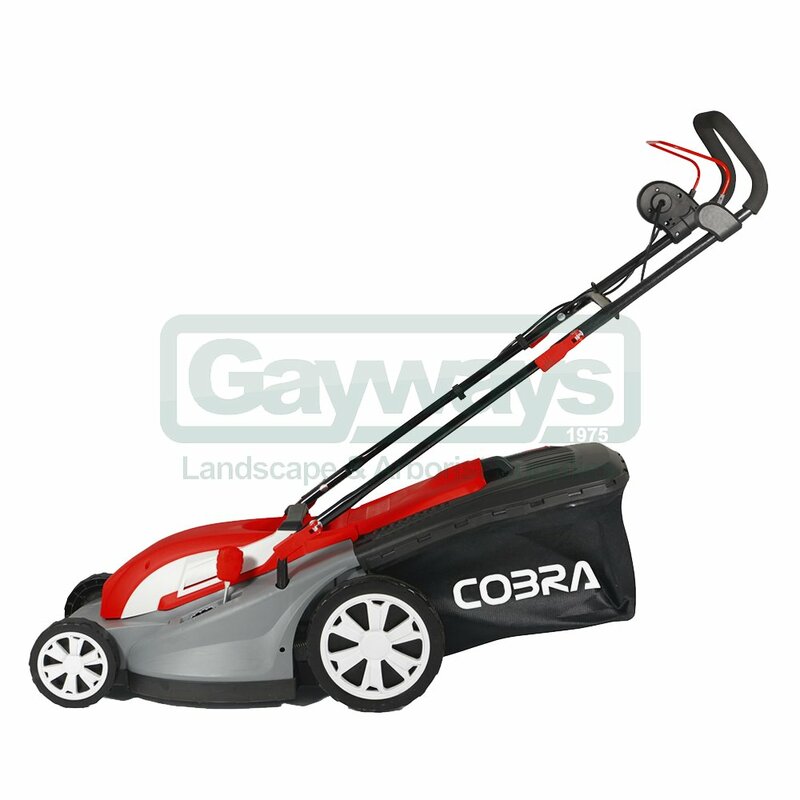 The Cobra GTRM40 electric lawnmower has 7 adjustable cutting heights ranging from 20mm for a superb low finish, up to 75mm for tackling longer grass. 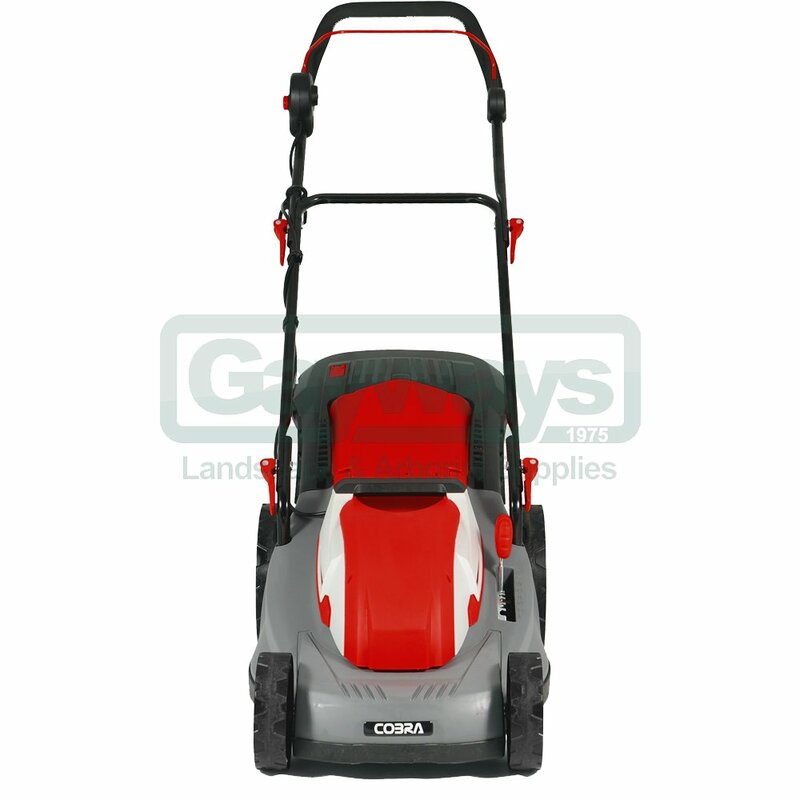 The Cobra GTRM40 electric lawnmower is equipped with a 45ltr fabric grass bag, ideal for collecting large amounts of grass clippings before the need for emptying.